Memory is defined as “the ability of the mind to store and recall past sensations, thoughts, knowledge” according to Collins English Dictionary. In another definition, it is also defined as, “the sum of everything retained by the mind.” When we talk about academics, both the ability to retain information in one’s mind and the ability to recall it vividly are both extremely critical to success. Students should be able to understand new concepts as well recall these concepts accurately before being able to apply them. Even when we talk about life in general, our experiences and their memories play a vital role when we are about to make long-term decisions. 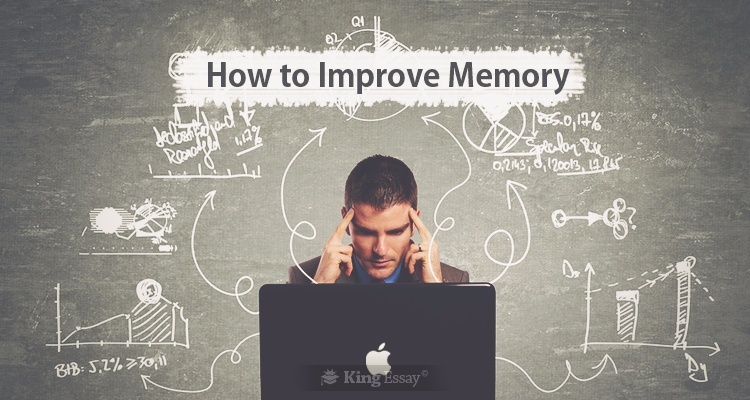 So how do we improve memory and our recollection of events? When talk about how student can overcome anxiety prior to examinations, they most definitely will tell their friends of the so many things that they were doing all at once. In the world of computing, multitasking refers to a machine’s ability to perform more than one operation at a time with complete efficiency. The more tasks a machine can perform simultaneously, the more efficient it is. Should humans also try to multitask like machines? The answer is no. If you are completing your statistics coursework as well as watching your favourite TV shows at the same time, one of the two is bound to suffer. Humans are not designed to multitask. Whenever we multitask we are unable to give our undivided attention to both of the projects. It is human nature to provide more importance or attention to the assignment which we enjoy. Ultimately, this causes us to lose the information pertaining to the responsibility which may be more important but not so entertaining. One of the best ways how to improve memory is the combination of a healthy diet with daily exercise. You need to exercise daily, not once or twice in a week but daily. The best way to exercise daily is to participate in a sport which you enjoy, even if it is table-tennis. Initially it will seem like a difficult task, but that will be just the first few days. Once you get over the first few days you will begin to enjoy the process. With a healthier body, your mind will begin to feel less exhausted. You will have a more positive self-image. Eating non-processed natural foods is the best diet. Try to remove all artificial sweeteners, carbonated beverages and junk food from your diet. Try to take pleasure in the different types of salads available at your favourite pizza store. Instead of white bread try using whole-wheat bread. Anything which you think couldn’t be healthy, just like cigarettes, probably isn’t. This is just one of the wonderful benefits of technology of today’s day and age. Try to avoid these things at all costs or at least reduce their usage to a minimum. There are a lot of benefits of socialising regularly. The first is having a support group to share your life’s ups and downs. Sometimes situations occur in our life when we don’t know how to respond or react to because we never thought something like this would happen. This is when social support is most helpful. Studies have shown that regular intermingling and socialising also helps to delay memory loss. Ask any doctor and he will tell you that nothing is more important on how to improve your memory than getting a good night’s sleep. No matter how important it is to complete your coursework writing service sleep is also important. A normal healthy person requires at least six hours of sleep. The body’s recuperation process starts during sleep, getting at least 7 hours of sleep in a day is ideal.